Arthur Denomme, 90, longest serving Town Administrator of North Smithfield for fourteen years, passed away peacefully October 31, 2018 with his loving family around him. He was the husband of Lucille T. (Morel) Denomme for 70 years. Born in Woonsocket, he was the son of the late Alderic and Eva (Fortier) Denomme. (Arthur passed away on his late father’s birthday). The son of French Canadians, brought up in Woonsocket, Arthur attended Woonsocket Public Schools. He left high school in his senior year to join the Navy. While in the Navy, he became ill with rheumatic fever and spent a month in the naval hospital. Upon his release he went back to active duty for a few months and was honorably discharged in August of 1946. He was in the Naval Reserves until 1954. On May 1, 1948 he and Lucille were married in Precious Blood Church. In 1954 he built his own home on Williams St., where the family still resides. Together they raised their five children, with four graduating from North Smithfield High School and one at Classical, because North Smithfield had no high school at the time. Seven of the twelve grandchildren also graduated from North Smithfield High School. 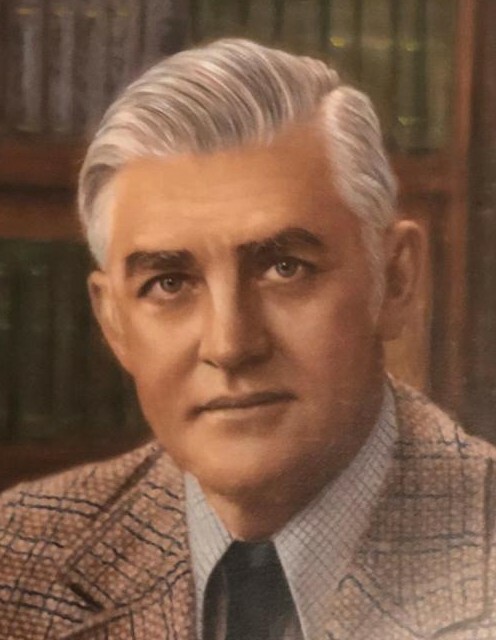 A self-educated man, he developed a sense of thrift, industry and organization which benefited his family and the residents of North Smithfield. From owning a lawn mower repair shop, among other things, he became the “Mayor of North Smithfield”. Arthur had a remarkable career. In the 1950’s he was the manager of the French Worsted machine shop. He also drove trucks for St. Germain and Nelson Transportation Co. In 1959 he joined the North Smithfield Volunteer Fire Department and the Ambulance and Rescue Corps. He became Chief of the Ambulance and Rescue Corps. and held that position for eight years. He was also a member of the Board of Directors for over thirty years. In 1969 he became a full-time fire fighter, attaining the rank of Captain, for thirty years. He was also the fire department treasurer. Arthur was an individual who left his mark on the town of North Smithfield. He was very involved in the community, in 1956 he began coaching farm, little, and senior league, as well as being an umpire. In 1962 he was President of the North Smithfield PTA, serving until 1964 and he was health officer until the position became abolished. He was a member of the zoning board from 1970-1971, town council member from 1971-1973 and elected Town Administrator until 1987. He was elected again to council in 1989 until 1993. In 1987 he became a member of Blackstone Valley National Corridor Commission and a chapter member of the North Smithfield Kiwanis. Arthur was Project Manager for the Rhode Island Girl Scouts from 1988-1993. In the 1950’s Arthur was in a roller hockey league at Joyland and one of his teammates was Gerry Bouley, who later became Mayor of Woonsocket. Neither would know that twenty years later they both would be heads of their respective towns during the blizzard of ’78. Arthur’s way to relax was to watch his sons play softball, no matter what state they played their games in, he would be there. Later it was to watch his grandchildren play soccer. He even had the chance to watch his great-grandchildren play soccer before getting sick. In December of 2016, a ceremony was held at the North Smithfield highway garage where a sign was unveiled that reads “Arthur Denomme North Smithfield Public Works”. He spent many hours at the garage during snowstorms, driving the plow so the men could take a break. During the blizzard of ’78, he spent the whole week there! Besides his wife, Lucille, he is survived by their five children, Pauline Desjarlais and her husband Robert, of NC, Paul Denomme of North Smithfield, Gail Denomme, Marc Denomme, his wife, Leslie, and Arthur “Buddy” Denomme and his wife, Lisa, all of North Smithfield; twelve grandchildren, Steven Desjarlais, Sheri Bloom, Kandi Stone, Cherilyn, Jeffrey, Lisa, Angela, Lori, Timothy, Douglas, Thomas and Pamela Denomme; twelve great-grandchildren and one step great-granddaughter. He was the brother to the late Jerome and Normand Denomme, Irene Marion, Cora Fournier, Beatrice Gauthier and Ann Paquette. The family would like to thank the nurses, CNA’s and everyone else at Oakland Grove, who made his life and also his family’s life easier with their care and compassion. A big thank you to Beacon Hospice Care for everything they did for Arthur. His funeral will be held Wednesday, November 7, 2018 beginning with visitation at 9 AM followed by a funeral service at 10 AM in the Holt Funeral Home, 510 South Main Street, Woonsocket. Burial will follow in St. John the Evangelist Cemetery, 63 Church St., North Smithfield. Calling hours are Tuesday from 4-7 PM. In lieu of flowers, memorial contributions may be made to, Beacon Hospice Care, 1 Catamore Blvd., East Providence, RI 02914.